Mid 1960’s – A climate of social criticism within the universities concerning administration, methods of teaching and examining, and a desire for more student participation in democratising higher education prevailed. Not a great deal of the rebellious attitudes and activism was apparent within Sancta Sophia College, although issues such as extending visiting hours and relaxing rules around allowing visitors to students’ rooms, and student representation on Council were raised with Council several times during this decade. 1966 – In August to September, two Religious of the Society of the Sacred Heart, Mother (Professor) Margaret Gorman and Mother Jean McGowan, visited Sancta Sophia College to give a series of lectures in psychology and Biblical Studies. 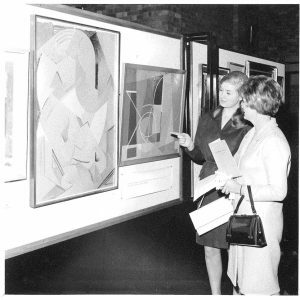 1967 – In August, the College hosted an art exhibition “The Broad Canvas, Art in Australia 1770 – 1967”. The exhibition featured over 180 pieces collected for the exhibition by sisters and College alumnae Mary Burns and Patricia Horsley. Media reviews were favourable, describing it as one of the first of its kind to envisage Australian art from the voyages of Captain Cook to contemporary times. The exhibition was opened by the eminent Art Historian Professor Bernard Smith. 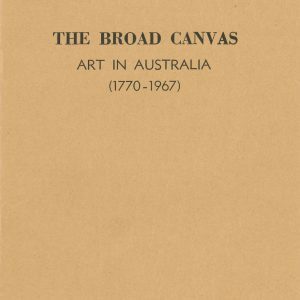 More than one hundred artists were represented from Charles Condor to Arthur Boyd. 1968 – At its meeting of 5 September, Council approved a motion put by Mr Justice Sheldon that steps be taken to amend the Act of Incorporation to provide that membership of the Council should not be less than 18 and not more than 20, of whom not less than 3 and no more than 5 should be laymen. News that the amendment had been passed by Parliament was conveyed to the Council by Mother Swift at the meeting of 4 June 1969. 1968 – The College accommodated 90 guests for the week of the Commonwealth Universities Congress, including 43 married couples, the first time men had stayed in College. The venture in monetary profit, and in the acquisition of equipment for future conferences, as well as for new linen conference use. 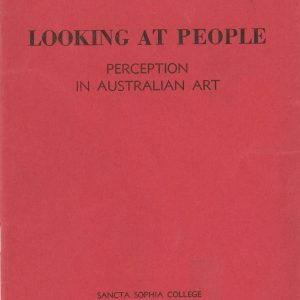 1968 – The Art exhibition, “Looking at people, Perception in Australia art” was held as a fundraiser for the Building Fund, and featured no fewer than 19 portraits by the artist William Dobell. 1969 – The minutes of the first House Committee meeting of record a vote of thanks to Kathy Bock for her efforts as Sports Secretary in 1968 which helped Sancta Sophia win the Rosebowl. 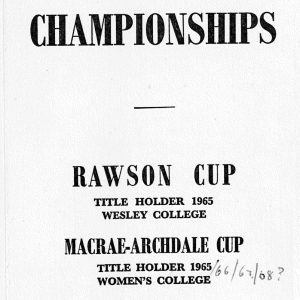 1970 – In April, the College suffered the very real loss of its Council Chairman, Sir Charles McDonald. At the first Council meeting after his death, Mr Justice Sheldon asked that Council move a resolution expressing their abiding sorrow, and their deep appreciation of and gratitude for Sir Charles’s long years of service to Sancta Sophia College. 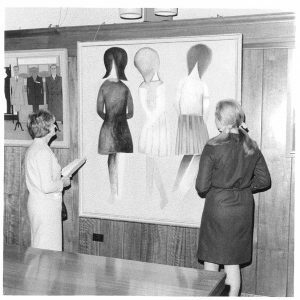 1970 – Sancta’s fifth decade was a time of great challenges for the College. In an oral history interview conducted for the College’s 70th anniversary history project, Sister Brennan recalled it as a period of little continuity, with key administrators moving on, and a period of financial difficulty for the College. The state of the College’s finances was a recurring theme throughout the Council minutes, with debts rising following a period of expansion, increased competition for conference bookings from the newly built Travelodge on Missenden Road, a decline in student numbers, and what the Council minutes of 5 March described as “a spectacular increase in wages and salaries and in catering costs”. To address some of these issues, Mother Swift proposed the appointment of a Management Committee to be closely involved in the running of the College and to advise on day-to-day issues which arose, and for which she needed competent advice. 1970 – With the endorsement of the Management Committee, Mother Swift engaged the services of a Management Consultant firm in June to “enquire into and prepare a report on ways of increasing the College’s income and improving its controls over expenditure”. 1970 – At the meeting of Council of 4 June, Mother Swift reported that the students’ House Committee had passed two resolutions asking the Council’s permission to allow visiting in their rooms between 1.30pm and 6.00pm every day. In supporting this request, Mother Swift reported that Sancta Sophia was the only College in Australia that did not have this provision in place in some form, and that other Catholic Women’s’ Colleges allowed visitors to students’ rooms. In approving this request, Council actually extended the hours of visitation to also include 7.00pm – 11.00pm on Saturdays nights. 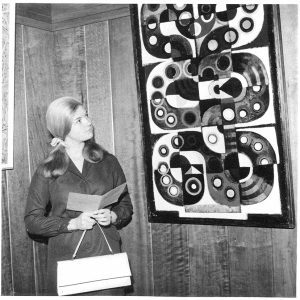 1970 – During a detailed discussion about fees and the make up of the student population at the Council meeting of 26 November, Mother Swift posited the view that the future lay with a co-educational college, or possibly the two colleges (Sancta and St John’s) sharing common facilities such as a library and common room. 1971 – At its meeting of 3 June, Council agreed that Mother Swift should make an informal approach to the Chairman of the St John’s Council to discover their attitude to joint planning for a degree of cooperation in the future. Council also resolved that a formal written approach also be made suggesting the establishment of a sub-committee of members of both Councils to study the common problems of the two Colleges and the feasibility of joint planning. 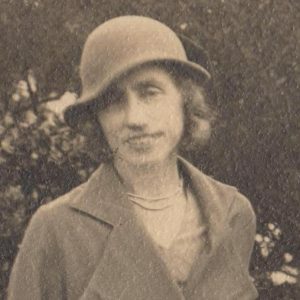 1971 – Peg Magoffin passed away suddenly on 7 August, robbing Council of a member who had contributed enormously to the Council and the College, as well as the community at large. 1972 – Mother Swift advised the Council of her intention to resign as Principal, in the expectation that her former Vice Principal, Sister Mary Shanahan would replace her. Sister Shanahan’s appointment was endorsed by Council at a Special Meeting on 2 October 1971, to take effect on the first day of Trinity Term (5 June). However, following her appointment to the role of Provincial leader of the RSCJ, Sister Shanahan did not take up the appointment of Principal, and Sister Mary Brennan was appointed in mid-1972. 1972 – Mother Swift’s pending departure was a topic for discussion at the House Committee meeting of 24 April, with a decision that the dress code for the farewell dinner should be formal, and a contribution of 50c from each member of College be put towards a farewell gift. 1973 – Miss Barbara Lane Mullins resigned from Council early, due to ill health. At the Council meeting of 8 March that year, Mother Shanahan spoke of the history of the association of the Lane Mullins family with the College, and suggested that the College Library should be formally christened the John lane Mullins Library. Miss Horsley suggested that the name, to include the whole family, should be the Lane Mullins Library. This latter suggestion was adopted on the motion of Mr Heafy. 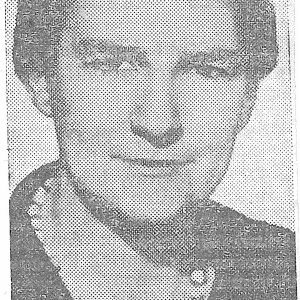 1973 – Sister Brennan presented a report on the Australian Association of Heads of Colleges conference held in August, at the Council meeting of 6 September, which included the suggestion that the question of co-residence be investigated. 1974 – The minutes of Council of 19 February record the resignation of Miss Mollie Cahill, whose service on Council commenced in 1957 and included 7 years as Secretary. 1974 – At its meeting of 19 February, Council agreed to establish three planning committees in the response to the question of amalgamation with St John’s College which was raised. The committees – a legal committee, the existing Finance Committee, and a feasibility study committee – were to consider the possibilities of a co-educational organisation, the legal standing of the college in the event of a forced closure, and whether there remained a need for a Catholic residential college for women. 1974 – On 29 April, a joint meeting of the Finance Committee of Sancta Sophia College Council and the St John’s College Management Committee was held to discuss matters of common interest. At the Sancta Council meeting of 6 June, Sister Brennan reported that she found the meeting “disillusioning”, and that she felt it only served to show that St John’s Council were not interested in any kind of combined effort with Sancta. 1974 – A common thread emerging during the discussions about the financial state of the College was that of becoming co-educational. At a Special Council Meeting on 30 July, extensive discussion was had on the principle of co-education, and its implications for the College if introduced. After much discussion, Council voted unanimously to accept co-education in principle, but stressed that in so voting they had not voted to introduce co-education. 1974 – Mr John A Chapman commenced duties as Administrator of the College on 1 November, a position he was to hold for many years. 1975 – At the Council meeting of 20 February, the already parlous state of the College’s financial situation was exacerbated by the revelation that a sum of $15 000 which had been invested in a short-term loan had been lost to the College. The investment had been championed by a former member of Council and the money had not been repaid, necessitating action to be brought against that person and the company in which they were a principal shareholder. 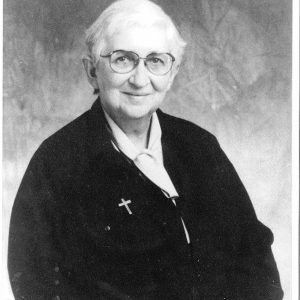 1975 – Sister Mary Brennan advised Council at the meeting of 20 February of her wish to resign from the position of Principal, to return to teaching. The Chairman, Miss Fenwick, noted that Sister Brennan had been Principal at a time of considerable difficulty for, and rapid change in, the College. Mr Justice Sheldon spoke highly of Sister Brennan and the marvellous job she had done, and the great debt of gratitude the College owed her. Council unanimously accepted Mother Shanahan’s recommendation that Sister Mary d’Apice be appointed to the position of Principal, with effect from the end of First term. 1975 – The College came under lay administration for the first time, albeit temporarily, when the Vice Principal Margaret L’Estrange took over as Acting Principal when Sister Brennan’s fell ill at Easter of that year. 1975 – At its final meeting, the Committee was asked to consider the matter of the College’s Jubilee celebrations. Sister d’Apice asked the question “should the Jubilee be celebrated in 1976, and if so what form should the celebrations take?” While the building opened in 1926 as a hall of residence, the Act of Incorporation wasn’t passed until 1929. Mrs Dora Bye, speaking as one of the original students, said that she and her friends had thought the Jubilee would fall in 1976, and were anxious that it should be celebrated soon. Council unanimously passed a motion that 1976 be accepted as the Jubilee Year of the College. 1975 – Council also unanimously passed at its meeting on 27 November that student representation on Council should consist of the Senior Student and one other to be elected by the student body. 1975 – After previously appearing disinterested in the idea of cooperating on matters of common interest and concern, St John’s Council ended 1975 pressing for greater cooperation between the two colleges. They seemed particularly interested in the possibility of sharing Mr Chapman’s administrative services, and weekend catering facilities. Mr Justice Sheldon noted at the Sancta’s final Council meeting of the year that this represented a change of attitude which should be encouraged. Miss Cahill had been invited by Mother MacRory in 1926 to take up residence at Sancta Sophia. She joined the Department of Education after graduation, and in 1956 became the Headmistress of Hornsby Girls’ High. She was a member of several policy committees for the Wyndham Scheme. She served as President of the Rose Bay Association and the Sancta Ex-students’ Association. Elected to College Council in 1957, she also served as Secretary for 7 years, and represented College on the Committee for the Charles McDonald Lectureship. Miss Cahill resigned from Council in February 1974, and passed away later that year. Barbara Lane Mullins was elected in 1961 to fill the vacancy on Council brought about by the death of Mrs Thomas (Beatrice) Bateman. 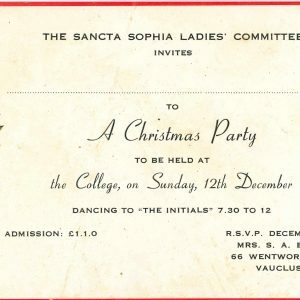 One of four daughters of John Lane Mullins and his wife Jane Hughes, Barbara’s involvement continued a long family involvement with Sancta Sophia College. 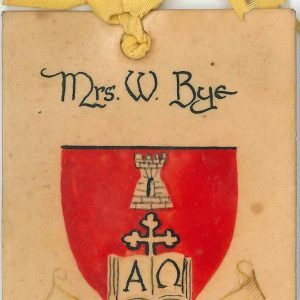 Her father had donated to the College a significant library of Australiana, and Barbara continued the custom of giving a gift of Australiana to the Library each year. 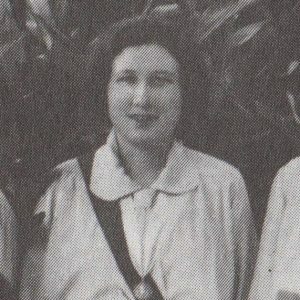 Born in 1918, Peg Magoffin was schooled at St Patrick’s Townsville, and Rose Bay Convent School. Qualifying in 1950 as a Chartered Accountant, she had a flair for finance, and in particular taxation. She was recognised as one of Australia’s foremost taxation authorities. One of few women Chartered Accountants of the time, she founded her own public accountancy practice – AM Magoffin & Co – in 1956. She served as President of the Australian Federation of Professional and Business Women from 1966-1970, and was on the National Labour Advisory Council’s Committee on Women’s Employment. 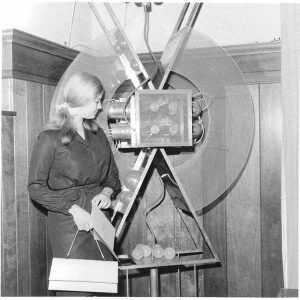 She also appeared for the Business and Professional Women during the Equal Pay Case in 1969. While serving on Council for a relatively short period of time, Miss Magoffin contributed her extensive financial acumen to the College during a time of great financial difficulty, bringing a clear and penetrating mind to bear on the problems it faced. A graduate of the University of Sydney with First Class Honours in Latin, Sister Mary Brennan’s appointment was endorsed at the Sancta Sophia College Council meeting of 1 June 1972 (Ref: SSCA College Council Minutes, S0023-02). She had been a resident of Sancta Sophia during her student days, and later in the United States she gained a Master’s degree in Religious Education and an STM from Union Theological College. On her return to Sydney, she tutored at Sancta Sophia, while continuing to study Philosophy at the University of Sydney. Sister Brennan was Principal during period of considerable difficulty for, and change in, the College.